The photo from jesi2282 brings up my point stated earlier... if this train was on the Red/Purple Line tracks after it leaves the junction with the Brown Line and there's another 5000 marked "Howard", how do you know which is your train? Three trains are marked "Howard"... Red, Purple,Yellow...This is why they need to either color that Amber text or put a colored background on these railcars. The only place where all three trains should say Howard is at Howard, and that should inform anyone with a sufficient degree of perception that the train isn't boarding passengers. At Howard, the train should say 95th, Skokie, or Linden. *If you are implying that a Northbound Purple Line express train short turns at Howard, that isn't the case. Usually, at the end of the run, it uncouples a couple of cars at Linden, then goes into shuttle mode, then perhaps leaving the remaining cars in Howard Yard. All true. In fact, the way that the current routes are designed, the only confusion which may occur is if one boards a train whose amber sign says "Loop" from Belmont south. 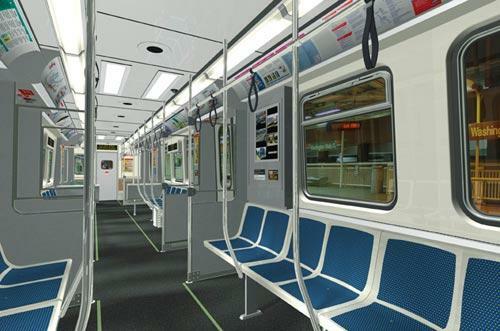 And even then, it is unlikely to occur upon the completion of the delivery of the 406 cars because the Brown Line (one of two North Side lines which terminate around the Loop) will continue to be equipped entirely with 3200-series equipment for the foreseeable future and the Purple Line is likely to be one of the lines which will be at least partially equipped with the new 5000-series equipment once the car assignments settle. Do you really think they will run 5000's on a mostly part-time service like the Purple ? The best likely improvement could be just enough 3200's on the Purple to cover off-peak shuttles (16 cars ? ), with 2600's backfilled on the Orange and Brown for rush hours only. Then I figure the Blue, then all or part of the Red will get 5000's, and 2600's from the Blue and Red go to the Green & Purple. Without doing the car requirement math, I'll bet it will be something like that when the dust settles. With the loop destination sign confusion on the brown, purple this would make for a good reason not to put the #5000's there. (unless they want to hear complaints all day) Maybe future orders would solve that issue and they could get some then. I see most of these on the blue line. They have the newest trackage and are not connected to the rest of the system so there shouldn't be any confusion. With the red,yellow and orange line expansions coming soon. That's probably going to be where the rest end up. The only way the 5000's could run on the Brown/Purple lines downtown is if they make the signs like this if they don't colorize the text or background... "West Loop", "East Loop", "South Loop", "North Loop". I'm not sure which would correspond to which line, but I know Brown goes around the Loop Counter-Clockwise and Purple goes around Clockwise. Otherwise they're going to have to figure a new final destination name for one or both these lines because, whether it's 2010, 2016, or 2018... whatever the year that 5000's start coming to the Brown and/or Purple Lines, that's when the confusion will begin. Otherwise they're going to have to figure a new final destination name for one or both these lines because, whether it's 2010, 2016, or 2018... whatever the year that 5000's start coming to the Brown and/or Purple Lines, that's when the confusion will begin. And I am still betting that the Purple Line will be off the Loop before it gets any 5000s. They won't be putting new cars on a line that basically runs part time. I think I saw one of those Brownge trains tonight. AT Library/State Van Buren, train was eastbound on Brown Line tracks but had Orange Line Midway destination sign with Orange Line marker lights (Red and Yellow). I would've been miffed if I was standing on the correct platform for Midway at Library and saw this train on the other side. Ironically there was also an outbound Orange Line train at Adams/Wabash as the aforemention Brownge train turned from eastbound Van Buren southbound onto Wabash. Thus Roosevelt would have back to back Orange Line trains. Again I believe all of the 5000s are initially going to Blue Line once they hit revenue service (in other words when the order starts to be filled). During the test period I expect them to be bounced around. I think before we speculate on the use of the 5000's on the purple line, I'll concur that they'll replace them on the lines where its needed the most (Blue and Green) before they'll get filled elsewhere. As for testing, that's up for grabs. It's possible if a 3200 or 2600-Series Line gets these railcars(Red, Purple, Orange, Brown, Pink) that current series stock can be transferred to a line that has only 2200's or 2400's(Blue, Green) thus retiring the older fleet cars with used fleet cars from other lines. They have to test everywhere, but the immediate need is on the Blue Line. Most of the original tests are because of proximity to Skokie Shops and the availability of the express track on the north side main. Also, they might be waiting to get 8 cars to make up a train to take the effort to send it to the Blue. As I previously mentioned, Purple is very unlikely, because they have never (at least since the single units) put new cars on this essentially part time route, especially while leaving the main trunk lines (Red and Blue) with old equipment. There is no sense keeping new cars in the yards 18 hours a day. Low ridership on Green and Pink would also put them down the list (especially since it was reported that Pink swapped its 2200s to Blue to get the last of the 2600s). Since the cars are not electrically compatible with existing equipment,* approximately 320 would be needed to reequip the Blue Line completely. What happens to the other 86 is now conjecture, as I am not as sure that the original rationale to keep the Brown Line at its original frequency, but get more cars to make up 8 car trains, is still in force. As the buses eventually proved, one guess is as good as any. Perhaps, like the buses, Option 2 is exercised sometime during this order, which means that there will be enough cars to equip both the Blue and Red Lines, and some 2600s bite the dust. 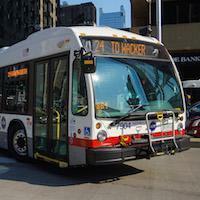 We don't know if CTA is thinking that much ahead. * I mention this only because it makes it unlikely that they would be scattered around the system. I got a tour of the skokie shops today and was able to take a good look at 5011 and 5012... there was quite a number of workers doing different tests below the actual car... 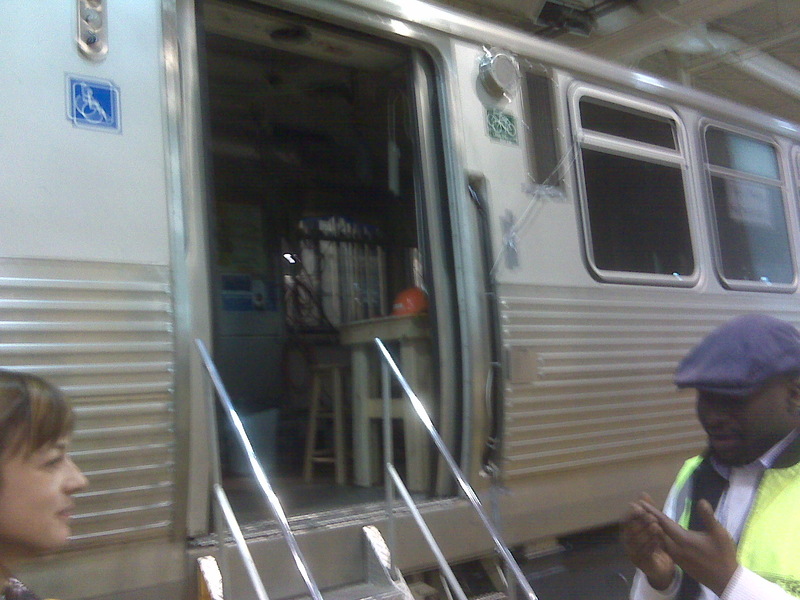 I was able to snap a picture of the interior... there are no seats inside only test equipmen... as a quick aside, speaking to one of the managers, he mentioned that they tested the load capacity of the trains with the new seat configuration to that of the 3200's...they did this by cramming everyone they could find into the car, and counting how many individuals fit. They were able to fit the same amount of people in both cars... so there you have it, side facing seats don't increase capacity! I second that. I would think that they would completely go to the blue line to consolidate maintenance of rail cars that cant be trained with another type of car. But, who knows with the CTA. I would refrain from saying that new cars won't be put someplace because they can't be trained with other equipment. First, they would be by themselves, wherever they are, until there are enough cars to put them in one and only one place. Secondly, don't forget that the 2200's were assigned to the (then) Milwaukee-Congress-Douglas in 1970. They did not train with the 6000s, but the two co-existed for years....even after the 2400 and 2600 cars arrived (which would train with the 2200s). I'm aware of the WNW having mixed cars but not mixed trains in the 70s, and acknowledge that until CTA gets over 300 5000s, it can't completely reequip the Blue Line. Also, back then, the WNW had the newest 6000s (discounting any swaps among the flat door 6000s). I was thinking more of the back end, which also gets us into the early 70s. At that time, the last of the 4000s were on the Evanston Express. That line was mixed with single unit cars and some 6000s. There is the explanation that the 4000s had trolley poles, but they were also sitting in the yard 18 hours a day. The current analogy would be if 2600s are moved to the Purple Line to retire 2400s there, but, again, sit in the yard most of the time. Also, unless someone actually saw differently, the only thing the picture proves is that the train was sitting at Howard with a Ravenston run number in the run box, but the Ravenston is no longer in operation, replaced by, as someone termed it, the Brownage. In that the Ravenston is no longer in operation makes sense, since the Brown Line is running 8 car trains, and the Purple Line can only handle six. Thus, to answer a question I posed earlier, the run number indicates that it was not a revenue run, and doesn't even prove that the cars were tested on the Purple Line, although they might have been. The one thing that could put a fly into all the theorizing is that Ravenswood got about 150 of the 256 3200s, even though it didn't have the 2000s, most of which I believe were sitting in the Purple Line yards (to again indicate that the Purple Line is on the back end). Again, if anyone has a recollection of the situation about 1993, I would appreciate your input. I know that BusHunter had posted the in service and scrapping dates, but that didn't indicate from what lines they were retired. While I don't know, perhaps what I saw in captions on chicago-l.org might shed a little light on the 2000's until someone with the knowledge posts a response... the three most captioned lines were the Blue(probably all removed sometime in the 1970's or 1980's), Red(probably removed in the 1980's), and Green(some probably remained in service here until retirement at the end of 1993, when the Green Line was shut down for renovation). So best bet for final line on where the 2000's were before retirement would be Green. Actually, by 1993 the 2000s were assigned to the Green and Purple Lines. The Purple Line had the higher-numbered 2000s while the Green Line had the lower-numbered cars in the series. The 2000s were removed from the West-Northwest Route (Blue Line) by the end of 1969 while the North-South Route had 2000s from the early 1980s equipment swap between the North-South and West-South Routes (when the West-South traded its 2000s for the North-South's 2400s) up until the switch of through routes in February 1993 (at that time, 2400s replaced 2000s on the then-newly-created Red Line). IIRC 2153-2154, which is now at IRM, finished out its days on the Purple Line; it's been through four different routes throughout its service life (2153-54 started out on the West-Northwest Route in 1964, then transferred to the then-new West-South Route in late 1969, then to the North-South Route in 1982, finally ending up on the Evanston route circa 1987). I figured such, in that it was reported that with the motor problems, they moved them off the expressway routes, because all the road salt being splashed up was eating the underside electrical equipment. I understand 5003 & 5004 were delivered a few weeks ago. Has anyone seen them out for testing - with or without the other 2 pairs? I saw two flatbed trucks delivering one train car each. I saw the trucks at the intersection of Harlem and 151st going northbound on Harlem Avenue. I didn't see the numbers on the trains, though. I didn't get a good look, but yesterday I think I saw a test train on the Red Line heading SB at Clark/Division. I didn't pay much attention at first because my view was somewhat obscured by where I was sitting on the train that I was on AND where my car stopped at the station. The first thing that caught my attention was that cars 3 and 4 were empty, but there were only four cars and of course the train didn't stop. It seems that they do these tests during off peak hours and not during rush hours, which is normally when I ride. Yesterday's possible sighting was not during rush hour. Went past Skokie Shops today and noticed that there are either 8 to 10 cars delivered- all coupled together and parked on the first track east of the shop. Any updates? I have to take the purple/red line down to the city tonight and was wondering where I might get a peek. That rendering is over three years old. I saw an eight car set of the new 5000 series being tested today on the orange line. I was standing at kedzie as the train stopped at the station, the doors opposite the platform were opened and then closed and the train continued on.